I’ve been looking at watches and phones for the last few weeks and Apple’s recent announcement just reinforced the conclusion I had come to: I don’t understand what’s going on. The big gap in my comprehension revolves around the phones getting bigger. 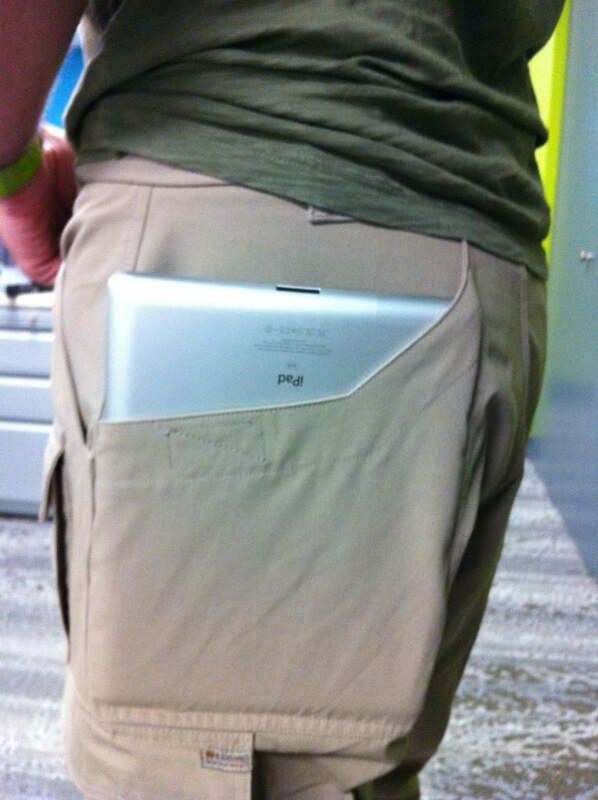 Am I the only person who carries their phone in their pocket? I think not. How does anyone fit these new over-sized phones into the average pocket? I just don’t get it. Now I wouldn’t mind so much if there were choices available. If you are a person of generously proportioned pockets you should have the right to fill those pockets with super-sized phones. The problem is: large phones are becoming all that’s available; the trend is simply towards making the devices larger and larger. The only people producing small phones appear to be dark labs in Russia and China that only sell their illicit chunks of dodgily-defined tininess via Ebay. The advent of technological wrist-candy isn’t changing the dynamic either. I had thought that as watches start to come out they would be paired with smaller phones. I mean if you’ve got a chunky device flashing on your wrist, surely you want its paired phone to be hidden away unobtrusively? Apparently not. It’s all big phones and big watches. I just don’t see how this is all working in the real world. Phones that don’t fit in pockets. Phones that when attached to your arm for a run, double up as a shield. Phones so large they absolutely require two hands to use. And of course phones so enormous that talking into them looks like you’re trying to staunch a head-wound with a plank of wood. Does any of this make any sense? This, for me, was the true disappointment of Apple’s watch and phone announcements. The company that revolutionised the way we carry technology, that freed our wrists, has passed up the opportunity to re-invent the way we look at watches and phones, and just joined the conga-line of companies producing super-sized slabs of circuitry. And the addition of payment technology doesn’t change my issue. Why? Because I want a phone the size of a credit card, not a credit card the size of a phone. It seems that the design triumph that awaits has nothing to do with phones and watches themselves; it has everything to do with clothes designers finding ways to incorporate ever-bigger pockets. Image: Another very clever cartoon from xkcd.com and an image I can find no attribution for anywhere.